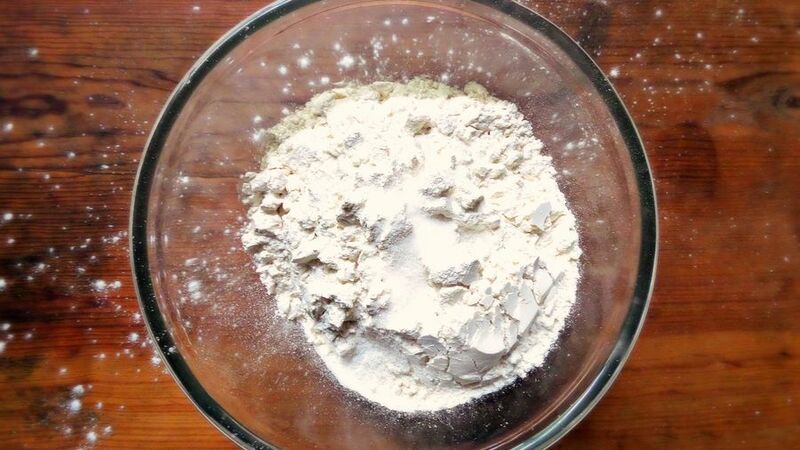 In a medium-size bowl mix the flour, salt, baking powder and baking soda. 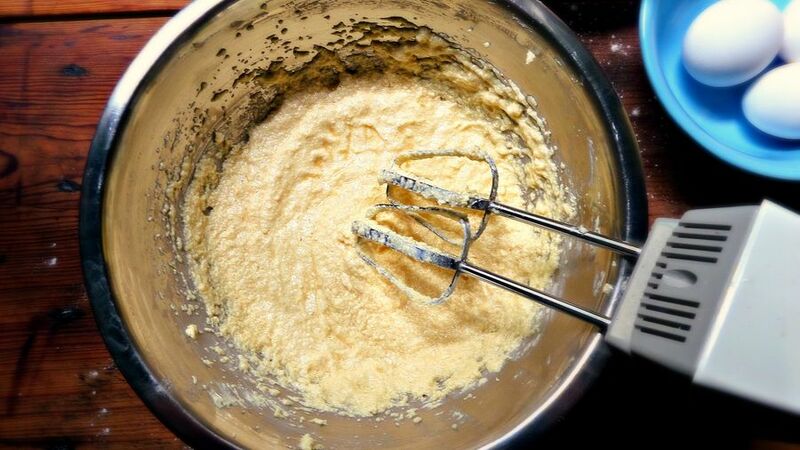 Whip the butter and sugar with a mixer on medium speed until the mixture is soft and creamy. 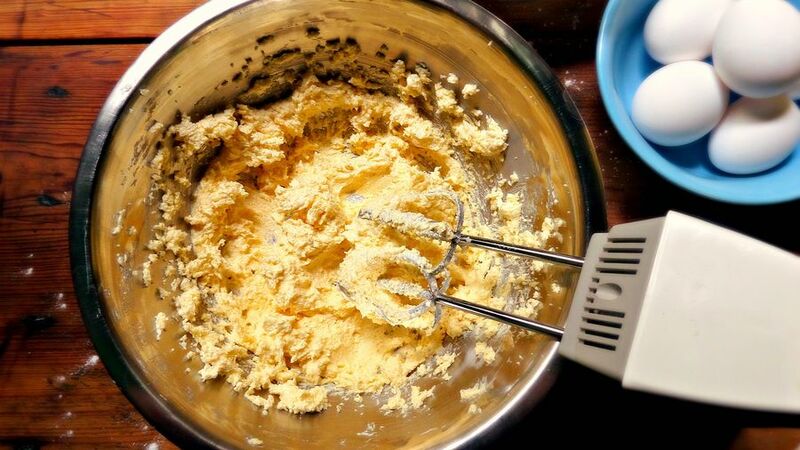 Add the flour until completely blended. 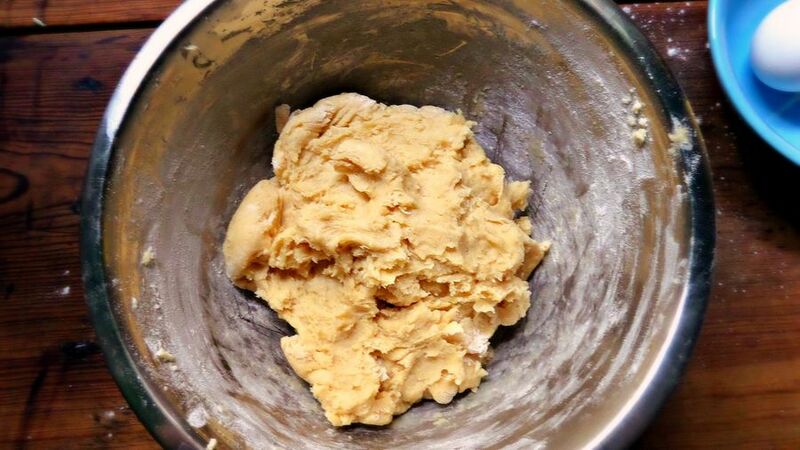 Cover the dough with non-stick plastic and put in the refrigerator for at least 30 minutes. Preheat the oven to 350°F. Lightly spray a baking tray with cooking spray. Form 1” balls with the dough. Arrange the balls on the tray, patting them down slightly with your hand. 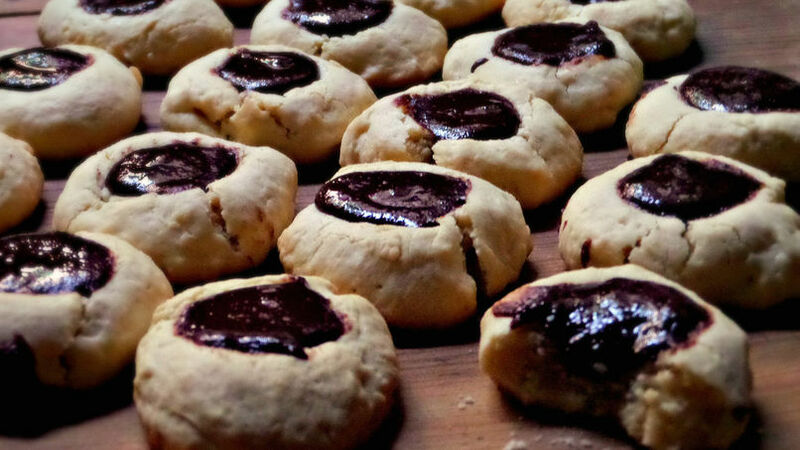 Make a small hole in the center of each cookie with a measuring spoon or with your fingers. 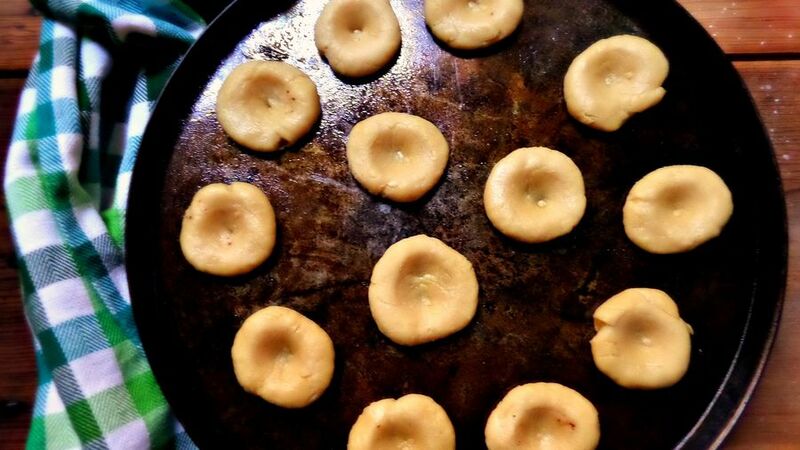 Bake the cookies at 350°F for 8 to 10 minutes or until the edges are slightly golden. While the cookies are baking, mix the Mexican chocolate and the corn syrup in a heat-resistant container. Melt the chocolate in a water bath. 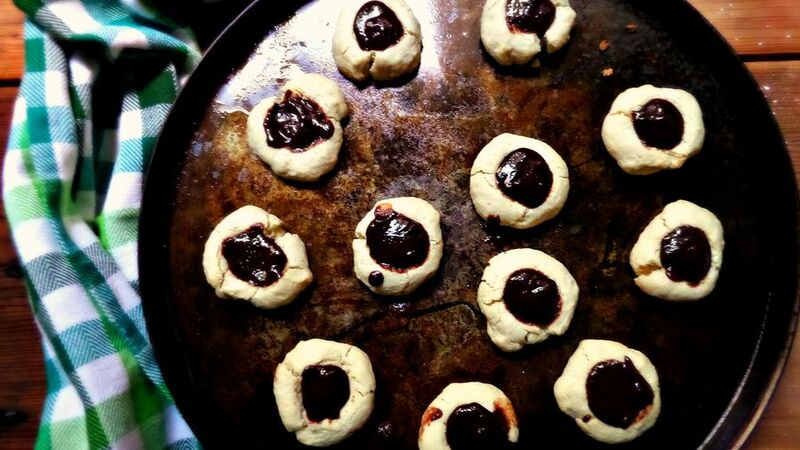 Remove the cookies from the oven and fill them with the melted Mexican chocolate. Let them cool down for at least 5 minutes before serving. 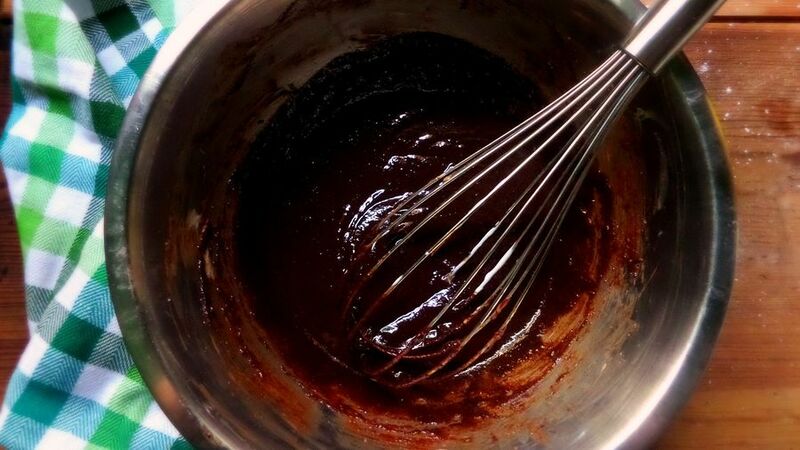 Substitute Mexican chocolate with 1 cup chocolate chips, 1/2 teaspoon ground cinnamon, and 1/2 teaspoon almond extract.